Discover how adding a more-aggressive camshaft to a factory engine can dramatically increase power, when the good people at COMP Cams show you how to perform a cam swap in a massive big block Chevy. Using a 454-cubic-inch V8 L29 7.4-liter Gen. VI motor, which originally came equipped in 1996-’99 full-size Chevrolet and General Motors trucks, the crew chose a COMP Cams Xtreme Energy Camshaft — a cam with an aggressive profile that required them to upgrade the valve springs to accommodate it (which we will share in next week’s video post). In this cam swap video, you will be guided through the process of turning the engine to Top Dead Center (TDC), and through the tear-down process of removing the valve cover, rocker arms, pushrods, ignition and induction components, and more. The video provides tips on how to position the timing sprocket before removing the timing chain, and then shows you how to remove the camshaft and replace it with the new one. Thanks to the magic of video editing, getting the engine back together takes almost no time at all, and you can watch the dyno charts as the upgraded engine — despite being predominantly factory — responds to the new cam. The swap generated an additional 55 horsepower and 30 foot-pounds of torque. 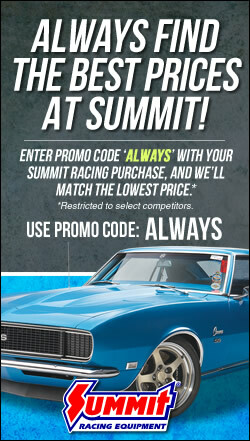 Nathan, we’d recommend a call to the Summit Racing tech line at 1-800-230-3030 as they’ll have some additional questions for you. Thanks for reading!